I’m Kaitlin, mommy to Aidan, my 10 month old little spitfire. He is both my greatest blessing and greatest challenge. Parenting is not at all as I had envisioned it before I had a child of my own. It has tested and stretched and grown me more in the last 10 months than I could have EVER imagined. One of the many new things I’ve learned since becoming a mom is the art of babywearing. Babywearing is my favorite parenting tool. In the beginning, Aidan was colicky and cried for hours and hours. It always started around 5 p.m., right as my poor husband was getting home from work. We spent days and days walking up and down our downstairs hallway bouncing and shushing to no avail. I received a baby carrier at one of my baby showers. Exhausted and frustrated one night, after trying everything I knew to soothe him, I decided to put him in the carrier. After getting him in and adjusted, something amazing happened. He stopped crying. He snuggled in and fell asleep. It became a nightly ritual. Something that dependably soothed him, even at his fussiest. 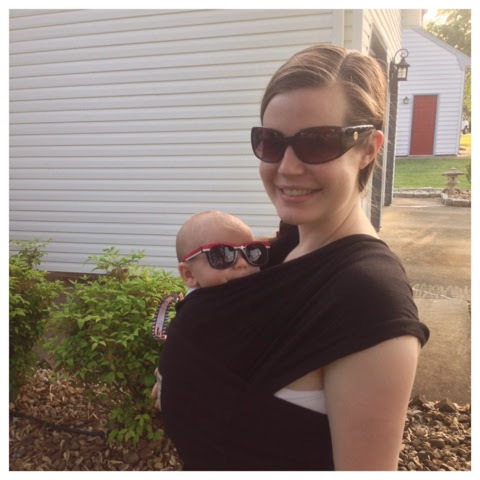 When I was on maternity leave and needed to get some things done around the house, babywearing allowed me to have my hands free. I could fold laundry, do some dishes, and maybe have lunch. Poor Aidan often ended up with crumbs in his hair from whatever I was snacking on. Eventually, as he got older I got up the nerve to run some lengthier errands on my own. Even through grocery shopping and Target runs he was happy as a clam in the carrier. I’d often get some stares and lots of “they didn’t have those when I had kids” comments from passersby. Little did they know that women have been wearing their babies since the beginning of time. If you’re interested in learning more about babywearing, check out this site to see if there’s a chapter of Babywearing International near you:http://www.babywearinginternational.org/about-bwi/chapters/. 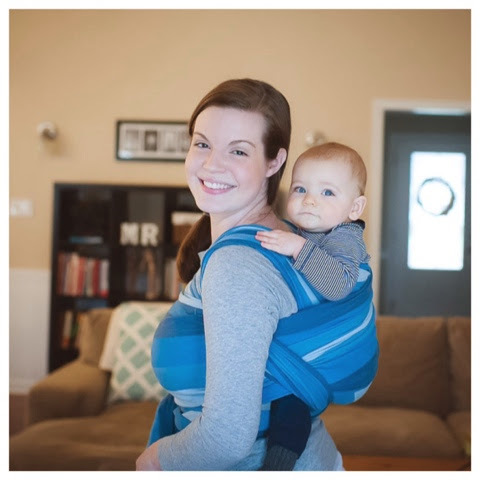 At the meetings you can learn about safe babywearing, different types of carriers, and even get help with babywearing from volunteer babywearing educators. Chapters even have lending libraries so that members can borrow carriers for free to try them out.